Next month A Savory Feast will be celebrating it’s first anniversary! What started out as a fun hobby turned into a passion and now, a part of my career. I’ve seen so much growth and success in this first year, and can’t wait to see where it takes me in the coming years. I often get questions from new bloggers or friends about how to start a blog, how I grew my blog so quickly, and how I make money blogging. 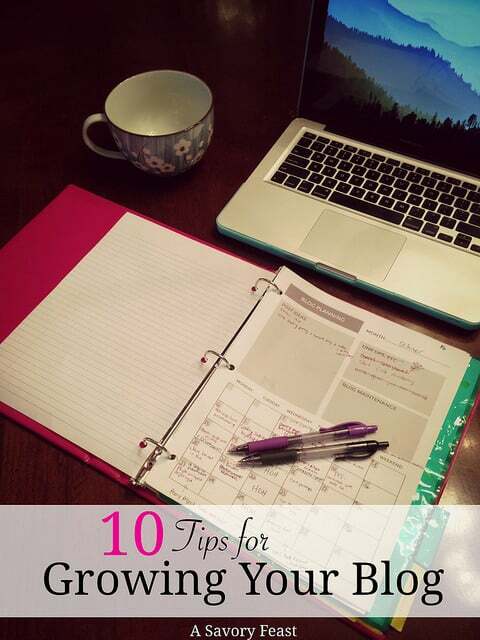 Today I’m going to be sharing my 10 tips for growing your blog. What does it take to be successful in the blogging world? First and foremost, it takes work. Lots and lots of hard work. If anyone tells you that blogging is easy, they haven’t tried it! It takes hours of coming up with ideas, writing posts, answering emails, promoting your posts on social media, and so much more. 1. Start on WordPress! Before I started my blog I did a ton of research. One of the common things I heard was that most bloggers ended up on WordPress eventually. I already had some background using it at a previous job, so my learning curve wasn’t as high. While WordPress is more complicated than Blogger, it’s definitely the way to go if you want to make money with your blog. As far as hosting goes, I recommend using BlueHost. They have a super easy WordPress install that will make getting your blog up and running a breeze. 2. Community is the key to success. The first month or so after I started my blog, I tried to go it alone. My pageviews were lower than low and my social media accounts had only a few followers. Then I discovered the huge community of bloggers and found ways to get plugged in. Once I started building my community, my blog began to take off. If this is an area you need to work on, check out my tips for building your blogging community. 3. Learn about nofollow links! I’m embarrassed to say that this is something I just learned a couple months ago. If you have no idea what I’m talking about, check out this article that explains nofollow links. It will make such a difference in how your posts show up in Google searches! I went back and added nofollow links to older posts and now I get a significant amount of hits from Google searches every day. 4. Great pictures are essential. Pinterest has always been my highest source of traffic. I knew that with better pictures, I could do even better on Pinterest. Take the time to learn some photography skills! I took some food photography classes on Skillshare and paid attention to what other bloggers were doing. I’ve seen a lot of improvement in my pictures, and have been getting even more traffic from Pinterest. 5. Be active and consistent on social media from the start. The second thing you should do after setting up your blog is set up your social media accounts. If possible, use the same handle/username for all accounts. Keep the profile pictures and headers the same, too. Start following other bloggers and sharing their posts. Don’t just share your own blog posts! 6. Be real! People follow blogs when they feel like they connect with the blogger. Have your picture towards the top of your sidebar, put together a great “about me” page, and write the way that you talk. You don’t have to put your whole life story out there or share anything you aren’t comfortable with, but be yourself as much as possible! 7. Giveaways = Growth Giveaways are a great way to grow your social media following. 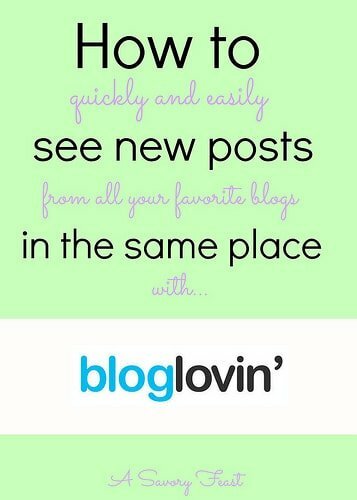 They can also be a great way to collaborate with other bloggers. You can all pitch in to purchase the prize, and show the giveaway on all of your blogs. In order to have a successful giveaway, you will need to put some money into it and giveaway something people will get excited about. I love using Rafflecopter to set up giveaways, they make it so easy! 8. Leave meaningful comments. Comments are a great way to build community and bring new readers to your blog. Take time each day to visit your favorite blogs (and a few new ones) and comment or share the post if you liked it. Write about what you learned from the post, how you related it to something in your life, etc. 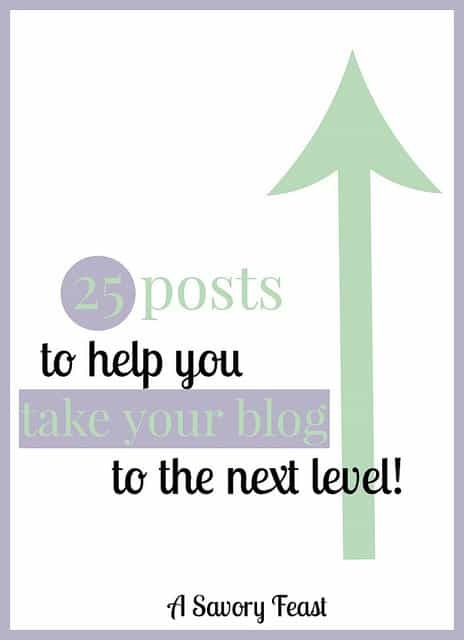 Don’t just write “great post!” Those comments don’t help you or the other blogger. 9. Set goals and keep track of your progress. A few months ago I decided that I would sit down at the start of each month to review my progress and set goals for the upcoming month. My goals might include a number of page views I want to hit, a skill I want to learn (such as HTML or better photos), a social media account I want to grow, etc. These goals give you something to work toward and focus your time on. 10 Stay true to yourself. When you start your blog, create a mission statement that defines the purpose of your blog and what you want to do with it. Don’t sell out just to get more pageviews! Be thoughtful about what you promote on your blog, which companies you will work with, etc. For example, I offer sponsorships for my blog. One time, a company submitted an ad for my blog. When I visited their site, I found that it was not a company that I wanted to promote. Even though it meant giving up the money, I couldn’t have an ad on my site that didn’t line up with the mission and values I had already determined for my blog. This post contains some affiliate links. However, these are tips that I actually used to grow my blog, and these companies and products helped me get there. One of the biggest things that surprised me about blogging was how important having a community of “friends” online is to a blogger. Over the past 7 ish months I have made lots of blogging friends. We visit each other’s blogs regularly, help each other, and promote each other’s posts. I have a group of around 10-15 blogs that I visit just about every day. This group is made up of my blogging friends and some of other favorite blogs. I used to go to each blog every day by typing in their address and seeing if they had a new post…. I am still fairly new to the world of blogging, but I have learned so much over the past few months. There are so many awesome resources out there to help bloggers like me succeed. This week, I am going to talk about 5 of my favorite blogging resources that have helped me grow my blog. If you are a blogger, what are some of your favorite resources? Let me know by leaving a comment. I hope you find some helpful information today. Happy Friday! 1. 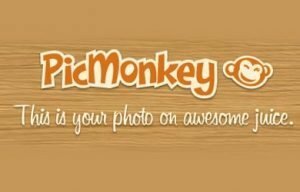 PicMonkey: I use PicMonkey to edit all of the pictures I use on my blog. They have tons of options, from editing tools to fonts to overlays and much more! Their site is so easy to use and my pictures turn out great! I love their collage builder and design tool as well. 2. Bluehost: I have my site hosted by Bluehost. They are awesome! They make it really easy to install WordPress and get started with your site. I am a member of their affiliate program, so if you are considering starting a blog, please click here to sign up! 3. 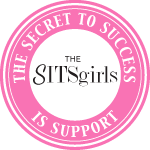 The SITS Girls: The SITS Girls is an online community for bloggers. 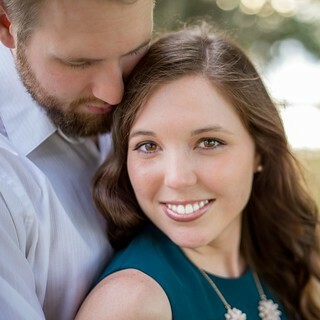 They have helped me tremendously as I am getting my blog off the ground. They have lots of ways to help bloggers connect and build community. I love joining their Twitter chat each Saturday morning and checking out their featured blogger every day. They also post helpful tips and ideas that I have put into practice on my blog. 4. My Recipe Magic: If you are a food blogger (or just love cooking) you should check out My Recipe Magic! It is a great way to share your recipes, drive traffic to your blog, and even make money! 5. Social Media: This is the biggest way that I promote my blog! I love connecting with other bloggers on Twitter, it has been huge in helping me build a community of followers. Pinterest is great because I find a lot of inspiration for recipes and ideas for how to grow my blog. Click on the buttons above to follow me!